a.a.a. apple anti age : how to combine beauty care with pleasure? a.a.a. apple anti age products are made out of natural ingredients and are not tested on animals. They are also hypoallergenic. They do not contain any animal derived ingredients or colouring agents. The a.a.a. apple anti age range is the fruit of a new innovative, a mixture of dreams, efficiency and originality. Apple polphenols have the highest antioxidant value (ORAC) of listed fruits. It took the French research organisations, INRA, INSERM and IRFAQ, 15 years to evaluate and stabilise apple polyphenols and succeed in incorporating them into an extremely effective range of nutritional and cosmetic products. The a.a.a. apple anti age moisturizing day cream for dry skin owes its outstanding efficiency to the use of purified, stable and high OPC content PLPH® apple polyphenols. This anti age product is particularly rich in plant-based agents, and provides comfort and protection to the most sensitive skins. Your skin will be protected from free radicals and nourished deep down. Apply on the neck and face in the morning. No fruit acids, animal-based ingredients or colorants. The a.a.a. apple anti age matting day cream has been specially designs for combination skins with oily tendency, and owes its outstanding efficiency to the use of purified, stable and high OPC content PLPH® apple polyphenols. It is a sebum-controlling product with high plant-based agent contents, and provides comfort and protection to the most sensitive skins throughout the day. The a.a.a. 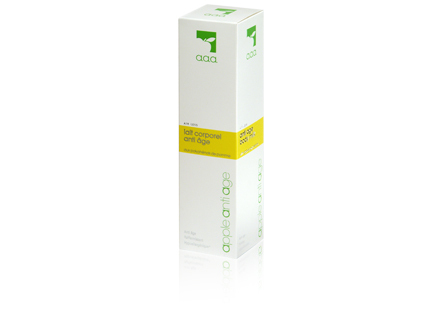 apple anti age lifting serum owes its outstanding efficiency to the use of purified, stable and high OPC-content PLPH® apple polyphenols. Owing to its high apple polyphenol contents, your skin is protected from free radicals. Nourished down deep, your skin is firmer. Wrinkles go away and your complexion becomes gorgeous. 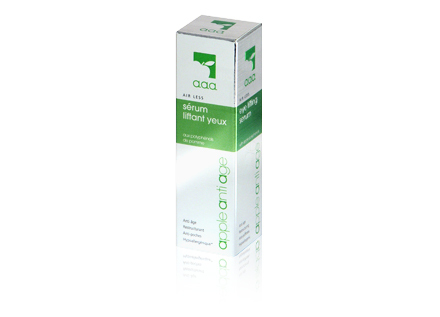 Its gel serum apple flavoured texture penetrates quickly. Apply the lifting serum on the face and neck in the morning or evening everyday after the first wrinkles appear. The a.a.a. apple anti age eye lifting serum owes its outstanding efficiency to the use of purified, stable and high OPC-content PLPH® apple polyphenols. 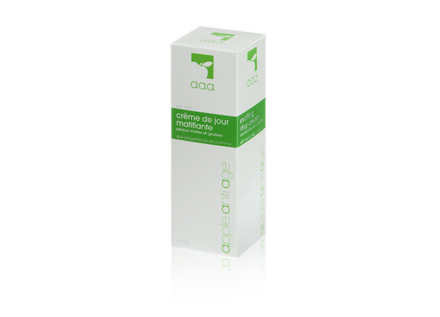 It hydrates, protects and restructures the fragile areas of the skin around the eyes. The immediate lifting effect removes rings; the skin microcirculation is improved, pockets are reduced. The eye lifting serum helps your look stay young and fresh. Its fluid serum texture penetrates quickly and enables to apply make-up. Apply the eye lifting serum in the morning or evening, especially under and over the eyelids. The a.a.a. apple anti age , "a true beauty nectar", is a dietary supplement which helps to reduce visible signs of skin ageing. a.a.a. apple anti age has been specially designes to reinforce the body’s natural defences against free-radical aggressions. Its efficacy has been demonstrated. The apple polyphenols extracts in the a.a.a. apple anti age drink help protect your skin and combat effectively attacks by free-radicals, the main cause of skin ageing. They protect the elastine and collagen proteins thus keeping your skin and resistant. Apple polyphenols, scavengers of free-radicals, act directly on the skin quality and contribute to delaying the effects of skin ageing. The a.a.a. apple anti age, "a true beauty nectar", will prepare new skin cells from the inside and will act in synergy and optimally to give your skin an "In" effect. For an optimal anti-age effect, we recommend you to drink 1 apple bottle a day for a course of 21 days each season and use the a.a.a. apple anti age drink, with its delicious taste of apple-caramel, is very pleasant to drink pure or diluted in a glass of water. The a.a.a. apple anti age body milk nourishes the skin deep down. 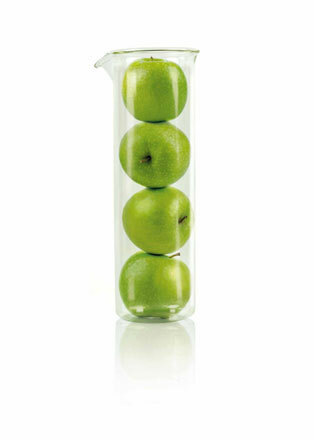 Its fortifying and antioxidising effect relies on the efficiency of apple polyphenol PLPH® that have high OPC contents. Your skin is protected from free radicals. It is nourished deep down and is firmer and softer. Rub in slightly in the morning and evening after showering, especially on the thighs, stomach and buttocks. Its fluid and slightly flavoured texture penetrates easily. The a.a.a. apple anti age night cream owes its outstanding efficiency to the use of purified, stable and high OPC content PLPH® apple polyphenols. The product is high plant-based agent contents and remains effective throughout the night. In the morning, your skin is firmer and better hydrated. Apply on the neck and face in the evening. Copyright © 2014 Nutrition Pharma. All rights reserved.